Study in the heart of a natural landscape. Live your yoga fully, beyond what is happening on the mat. Are you searching for ways of diversifying your work, enhancing your life and income stream, and contributing to the community? Are you looking to immerse yourself in studies that wil allow you to step into your fullest potential? Diving into a yoga teacher training opens the door to all of this and offers you valuable tools that will serve you in all facets of your life. Unlike many city studio-based trainings, the JUNA Yoga Teacher Training program takes place in the heart of nature, in the stunning landscape of Mont-Tremblant, Quebec. This unique setting allows our students to discover and tap into the beauty and flow of feeling connected to the natural elements. 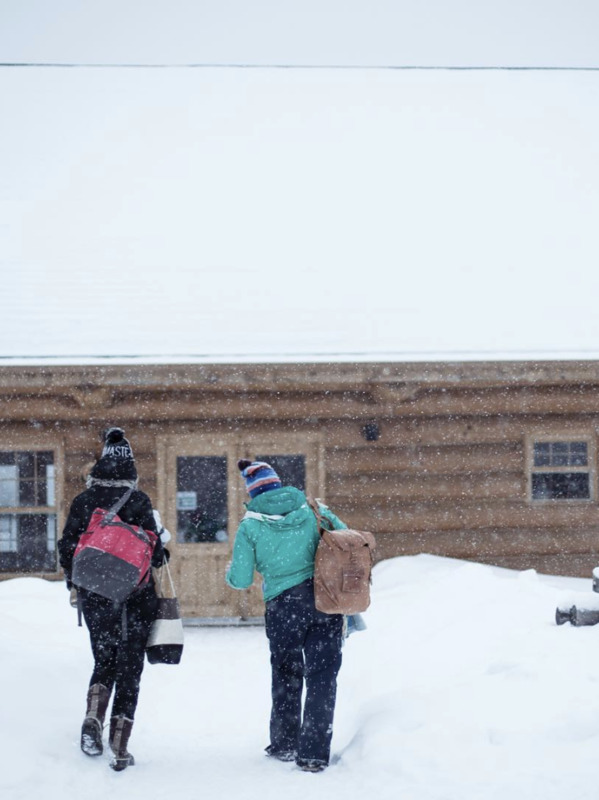 Body, heart and mind are sure to be fuelled by our daily morning snowshoe, cross-country ski, SUP and hike sessions - an excellent and inspiring way to start the day before exploring our yoga practice on the mat. This approach also allows students to discover how they can eventually bring their yoga teaching skills to the great outdoors and deliver one of a kind yoga programs. Upon completion of this program,our students will be able to teach with confidence a Hatha or Vinyasa Flow class in a multitude of settings. JUNA Yoga is committed to providing students with a complete 200 hour Yoga Teacher Training program internationally recognized and approved by the Yoga Alliance. The program will be taught by a handful of skilled teachers, selected because of their passion and dedication to the practice. Every teacher you encounter in our program has years of experience in the world of yoga, movement, communication, studio/ business ownership and holistic studies. They are dedicated to sharing knowledge, finesse and creativity with all our students. JUNA’s unique nature immersive yoga teacher trainings are thoughtfully designed to allow you to step into your boots and access your fullest potential so that you can eventually lead classes with confidence and integrity. Our teacher training program is about creating a community of like-minded people looking to share in experiences, grow through kinship, and feel strong in their bodies, minds and spirits. ➾ Accessible and open to a variety of experience level and ages, our supportive team is 100% behind you before, during and after the training. *Please note that all Early Bird payments are to be paid in full by September 1rst 2019. Payment plans are available at 0% interest. You can pay in one, two or three instalments. Your choice of a French or English Manual designed by JUNA Yoga. * Please note that if you select an english manual, we also provide a PDF link to our french manual to allow you to have access to posture names, teaching vocabulary etc. in the other language. Join us and discover the transformative journey of experiencing a destination yoga teacher training program like no other - one that combines in-depth study of yoga as well as outdoor immersions in some of the most beautiful locations! Delivered into two modules of ten days each to allow for flexibility and balance in your work and family life. We only accept a small number of students per cohort in order to allow teachers to have one on one time with each of you in physical practice and discussions. Open your heart and breath: cultivating a daily practice, staying present in the moment, different types of meditation techniques such as Metta, Karuna, Mudita, Upekkha, etc. We are proud to offer a safe place for personal and professional development in this transformational moment in your life. Our faculty of experienced and passionate teachers lead with integrity, playfulness, and a perfect balance of course structure and organic flow to make this training highly valuable in all aspects of your life. 1- Why is the program divided into two ten day modules? The program is divided into two 10 day modules to allow students to discover the benefits of being immersed into the study of yoga without feeling overwhelmed by a full immersion. We have several weeks between the modules to complete homework, observation hours and teaching videos. This is also a time when questions will arise and our staff will be available to you to answer any of your inquiries. Moreover, we find that two 10 day modules is a great format for students with busy life/ work schedules. 2- Who is this Yoga Teacher Training program for? 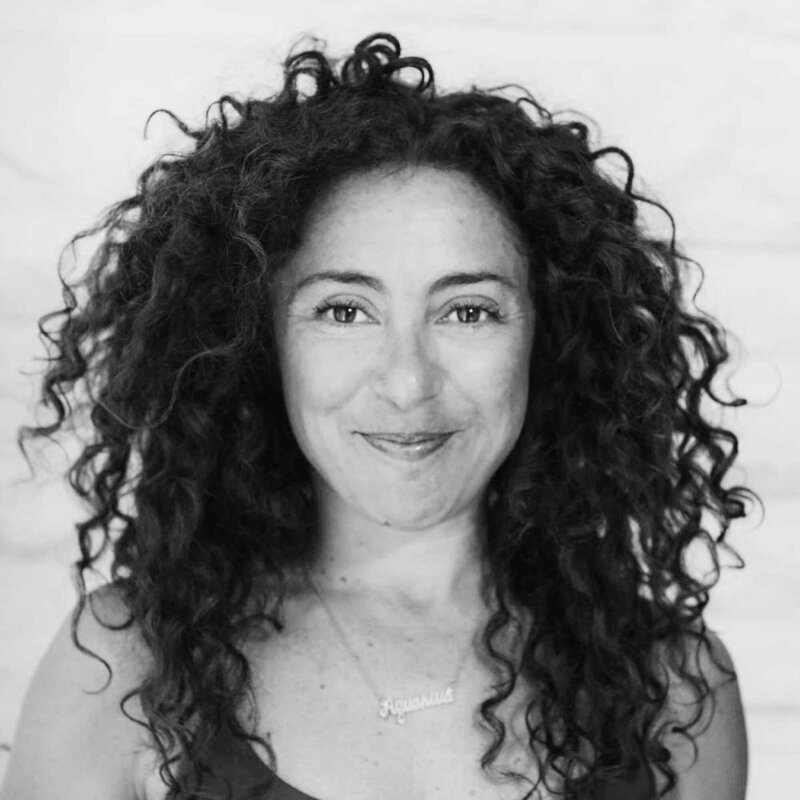 The JUNA YTT is open to all and is for anyone wanting to deepen their personal practice as they learn to become a confident, playful and insightful yoga teacher. Our team strongly believes that teaching from the heart makes the best yoga instructors and so we strive to make sure every student in our YTT feels comfortable while they explore and discover the road to becoming an accredited yoga teacher. 3- Will I have sufficient time to complete homework and is there an exam? Yes you will have several weeks in between the two modules and an additional 6 weeks post module 2 to complete all homework. There is a practical exam at the end of module 2 but we are here to give you positive feedback and help you grow as an instructor. There is also an open-book written exam at the end of the program. 4- When I graduate from the JUNA Yoga Teaching Program will I be ready to teach? Yes, you will be ready to teach shall you desire to! Some students take yoga teacher trainings for personal development while others have specific aims at launching themselves into the realm of yoga instruction. Our program is designed step by step to make sure that at the end of both modules you have covered more than the essentials to deliver a structured and playful class. 5- What if I don’t pass a certain module? Do I have to pay for the training again? If there are certain subjects that are challenging to you, our team will be happy to help you along the way to make sure that you successfully pass your modules. We keep our classes and additional YTTs open to students that require a little more time to gain confidence in their teaching skills. No costs are associated with these services. 6- Are payment plans available? Yes, payment plans are available at 0% interest. You can pay in one, two or three instalments. Please note that $500 from your first payment will be kept as a non-refundable deposit. Early Bird payments are to be paid in full by September 1rst 2019. 7- What happens if I miss a class? If you miss a class, you can take this class back in the following intake of students. Please note that we can accommodate students on a case by case basis. Please chat with a YTT advisor by writing to info@junayoga.ca to make sure that we can respond to your needs in the best way possible. 8- How much time to I have to complete the module? You will have up to six weeks post YTT to complete all homework related to the two ten day modules. 9- Do I need to be interested in teaching to be accepted in the program? Our program is open to all and you are eligible to partake in the YTT even if your final goal is to deepen your personal practice without teaching. Please note that we require that applicants have a year of regular yoga practice under their belt as well as a vivid interest in learning / teaching / sharing / methodology / yogic studies to be admitted in the program. 10- Does pricing include lodging and meal plan? We hope to one day provide an all-inclusive Yoga Teacher Training with lodging and meal plan, but in the meanwhile students do have to arrange for their own accommodations and meals in Mont-Tremblant during the training. The most popular choices for our past students have been the Mont-Tremblant hostel and renting a house/chalet as a group. Once you register for the training, we give you access to our private Facebook group where you can chat with the other students and sort out arrangements for lodging, carpooling and groceries. Our team is also always available to assist you in this process.